holds a ball-point pen. Cotton stuffing. dry or secret treasures. Plastic hanger. contrast trim. Plastic hanger. 26 inches long. Charlie Brown '"Baseball Player'" Pajama Bag. contrast trim. Plastic hanger. 27 inches long. age. Plastic hanger. 22 inches long. 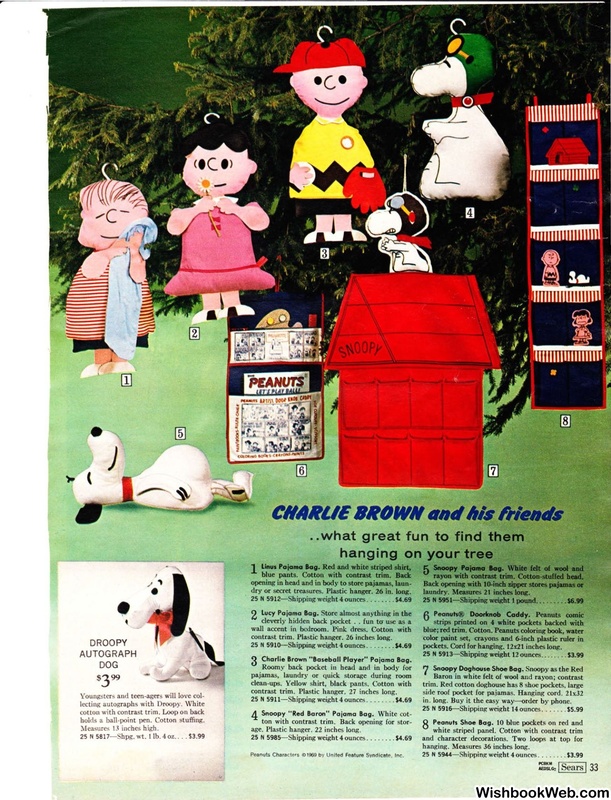 Peanuts Characters ©1969 by United Feature Syndicate, Inc.
pockets. Cord for hanging. 12x21 inches long. in. long. Buy it the easy way-order by phone. hanging. Measures 36 inches long. 25 N5944- Shipping weight 4ounces.